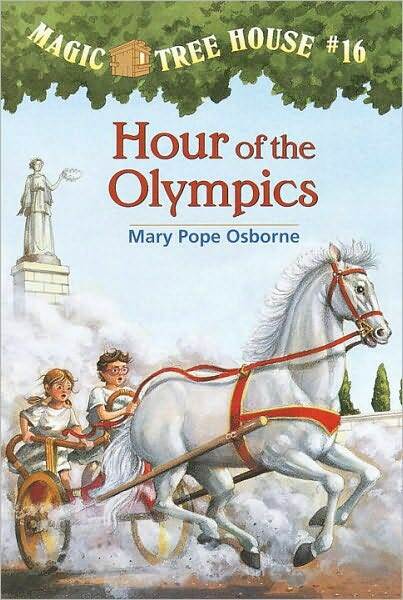 That’s the rule when the Magic Tree House whisks Jack and Annie back to ancient Greece. But when Annie tells jack to go to the games without her, he knows she’s up to something. Will Annie find a way to see the games? Or will she get herself—and Jack—into Olympic-size trouble? Find out in Hour of the Olympics. This one was SO much fun to read with Addyson especially since we were reading as the Olympics began last week! Addyson still is talking about the fact that girl’s weren’t allowed to even watch the Olympics back then and now they win everything :). Makes me a proud mommy!